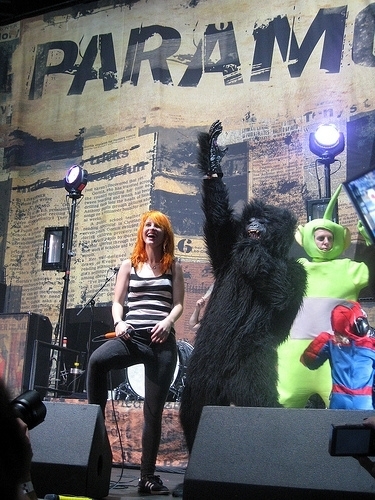 Paramore with Teletubbies, Spiderman & some other weird creatures :D. . Wallpaper and background images in the Brand New Eyes club tagged: paramore brand new eyes ignorance hayley teletubbies spiderman. This Brand New Eyes photo might contain street, city scene, urban setting, sign, poster, text, and chalkboard.